University of Perpetual Help, Philippines is a leading University in Manila - Capital of the Philippines. On Campus Hostel and Indian foods are available. 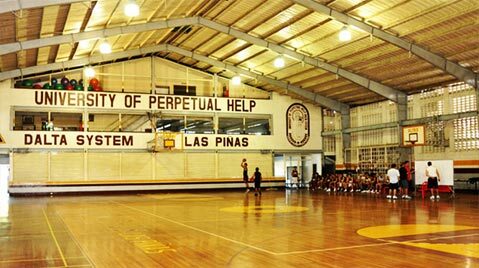 University of Perpetual Help System (UoPH), Philippines is a co-education Institution of higher learning located in Las Pinas City; Metro Manila, Philippines founded in 1975 by Dr. (Brigadier) Antonio Tamayo, Dr. Daisy Tamayo, and Ernesto Crisostomo as Perpetual Help College of Rizal (PHCR). It has nine campuses offering over 70 courses in 20 colleges. The University inculcates the Perpetualite values, teachings and principles. Graduate of UoPH call themselves Perpetualites with Alumni Chapters in Philippines and USA. The institute was given University Status in 1997 by CHED. The School of Medicine in UoPH began in 1996, It Offers the Doctor of Medicine Degree or MD in Philippines MD Degree from University of Perpetual Help, Philippines entails full time Medical Education in the Philippines which is equal to MD in the USA and MBBS in the UK and India, The Medical Degree and the Medical School is listed and / or recognized by the whole World - CHED Philippines, WHO, Medical Board of California (USA), MCI, USMLE, FAIMER, General Medical Council – UK, etc. ECFMG certification and USMLE examinations for working in the USA. Canadian & Australia Medical Council licensing & State registration exams. UK PLAB & Ireland registration exams. MCI Screening Test for Registration in India. California Board of Medicine, CFGNS USA & CHED - Govt. of Philippines, MCI. University of Perpetual Help System Dalta (UPHSD) has been providing quality education for more than 40 years. UPHSD nurture students to become accomplished professionals who get employed not only in the Philippines but also abroad. We focus on the total development of our students, beginning with character building to mastery of skills, thus enable our graduates to get ahead in their careers. We ensure high quality education to make students more competent. Our experience in the past forty years have allowed us to develop a comprehensive curriculum that allows students to understand and master the subject matter fully, enriching their learning experience. We own and maintain a tertiary teaching and training hospital where students learn and acquire skills required by their healthcare professions. Our students are surrounded in an environment that encourages proficiency in their chosen field, whether it is Medical, Hospitality Industry, Law, Aviation, Education, Criminology, etc. This immersion in a workplace environment creates graduates that are mentally and emotionally ready to face the challenging demands of the real world. Every year, a UPH graduate emerges at the top ten of certified board exams. We work hand in hand with our students to ensure that they learn for understanding, from the classroom to the review session and this is clearly reflected after they graduate. Highly Competent & Caring Faculty and Administrators - are also friends, consultants, advisors and mentors who nurture students to develop their full potential. Theoretical knowledge and applied training are delicately balanced thus providing a holistic approach to learning. Modern Equipment & Facilities - The University continually updates its modern facilities and equipment to prepare students with the required skills for evolving industry needs. Local and International Affiliations - The University has established local and international linkages with prestigious institutions to further enhance the skills, competencies, and professional network of our globally competitive students to help them jumpstart their careers here and abroad. Our campuses in Las Piñas, Molino, and Calamba are strategically located along major thoroughfares in their respective cities. It is accessible via all types of transportation, and its location in the south of Metro Manila makes it a more convenient destination for students, parents, and faculty alike, maximizing the use of their time, energy and resources for more productive activities. “Our young can only be assured of a better tomorrow by building the right kind of Character today” By these words and through the UPHD academic programs did the Man of Vision, Dr. Antonio Laperal Tamayo hone Filipinos to become a People of Mission and Action. 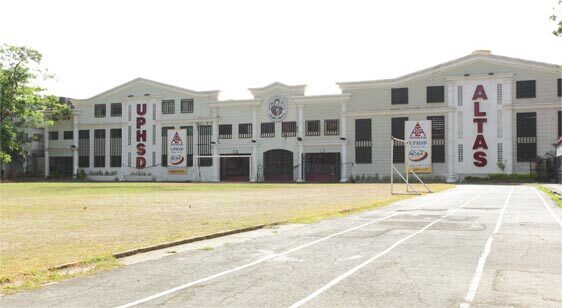 Then known as the University of Perpetual Help Rizal, the Las Piñas campus of the University of Perpetual Help DALTA (UPHD) was founded in 1975 by. The founder’s passion to fulfill his nationalistic dreams was mainly directed to promoting a better quality of life for all Filipinos through the school’s course offerings. In 1997, the Commission on Higher Education granted University status, thus the change of name to the University of Perpetual Help. In subsequent years, the UPHSD established two branches as well as several agri-businesses which later incorporated into the DALTA Group of companies. The units of DALTA Group are located in Las Pinas City; Molino, Cavite; and Calamba City in Laguna. It also has a Medical Center in Las Piňas City. In 1976, the University of Perpetual Help System DALTA – Calamba was established. The University of Perpetual Help System DALTA subscribes to the institutional philosophy that national development and transformation is predicated upon the quality of education of its people. The University of Perpetual Help System Dalta - JONELTA Foundation School of Medicine is a thriving community of educators, scientists, clinicians, students, and even lawyers working together to educate, learn, discern, heal, and serve. The curriculum promotes exhaustive research, collaborative learning, and individual initiative by providing a strong basic science preparation and extensive clinical experiences. Our main purpose is to promote compassionate, ethical, and competent medical practitioners ready to help people achieve healthy productive lives, advance knowledge in the medical sciences, and be informed advocates of change for a lifetime of achievement in the field of medicine. The four-year medical course generally progresses from the study of the normal to the abnormal human being. 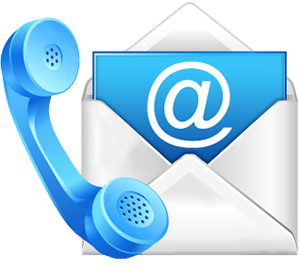 Most of the subjects are yearly courses which are taken up for two semesters. The first year covers the normal Human Anatomy, Biochemistry, Physiology, Preventive Medicine & Community health, Psychiatry and Medical Practice I. The fourth year or clinical clerkship is mainly spent in actual patient care with the JONELTA section of the University of Perpetual DALTA Medical Center serving as the clinical laboratory. Hospital rounds and group discussions give the student a good perspective on bedside manners, diagnosis and management. Currency rate is used for calculations & student has to pay as per the rate on the date of conversion. Rates for air ticket shall be paid as per rate on the date of actual booking or travel by the student.